They say that a cruiser’s plans are written at sand at low tide, but we’re dockside now, and not technically cruisers anymore (hey, we’re between trips!) so our plans tend to have a little more staying power. After such an amazing 2016 with trips to Barbados (escaping NYC winters), Martinique (getting engaged) and Sardinia (getting married), 2017 has a lot to live up to. Luckily it looks like we have some exciting plans already scheduled for this summer. 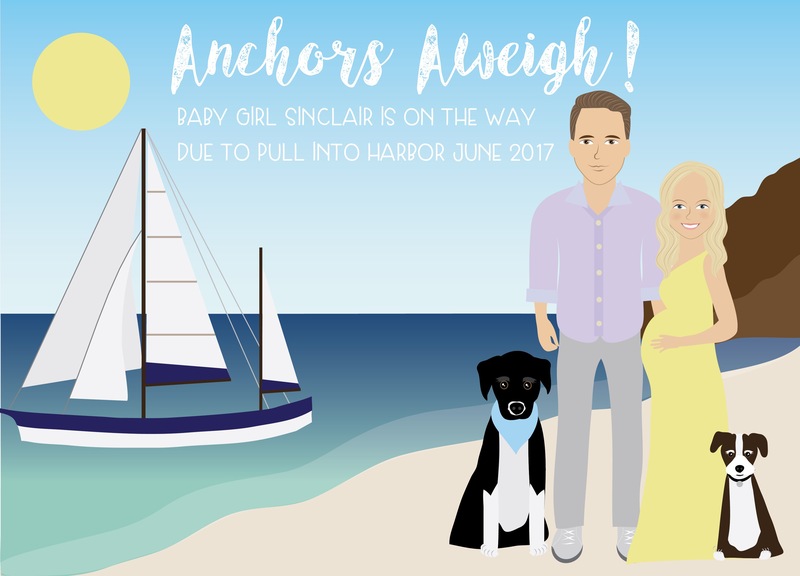 Jason and I are so excited to share that we’re adding a new member to the Sailing Chance crew! Baby girl Sinclair will be be joining us at some point AROUND June. With a new deadline for major boat projects, Jason’s been kicking it into high gear for some of the really big and intrusive projects on the list (flooring, decks, etc.). The worst part (for me) is that he’s not really letting me help with them. One of the hardest parts of being pregnant so far is actually allowing myself to take it easier and not go full force into projects that involve toxic chemicals, massive amounts of saw dust or heavy lifting. I’m four months in and I’ve had a pretty easy pregnancy so far. No morning sickness. No nausea. No heartburn. No swollen anything (yet, I’m sure). Only exhaustion and back pain, both which have gotten so much better in the last couple of weeks. I’ll take it! We still have a LOT to figure out, but one thing I know for sure is that I fully plan to take advantage of my maternity leave with extended stays out at Block Island, North Port and other stops in the Long Island Sound while Jason trains it in for the day. He’s not yet aware of said plan, though, so help me convince him it will be in his child’s best interest ;). As we navigate these new waters, we hope you join us in celebrating what is to come. It sure is going to be an interesting/exhausting/exciting 2017, but we couldn’t be more thrilled for the new challenge. Illustration by the talented Monique Victor at Save the Forest. Congratulations on such great news!! From Laura, Hans, and Wilbur on the Knotty Cat!! PS, we became grandparents to a beautiful baby girl in September!! Huge congratulations to you guys!! Soooo excited for you guys! Can’t wait to meet little Miss Sinclair next time we run into you! So happy to hear the news! You are going to have one very lucky little daughter. Looking forward to seeing one more little sailor on board. And Kelley, let him do those projects! Also, so looking forward to seeing what a sweet nursery you make onboard. Congrats you two!! I’m so happy for you. Yes, 2017 is sure to be an exciting one indeed. You’ve had so many wonderful moments in the last year, and it’s a beautiful thing to see a new life will be joining two people who have so much love to share.